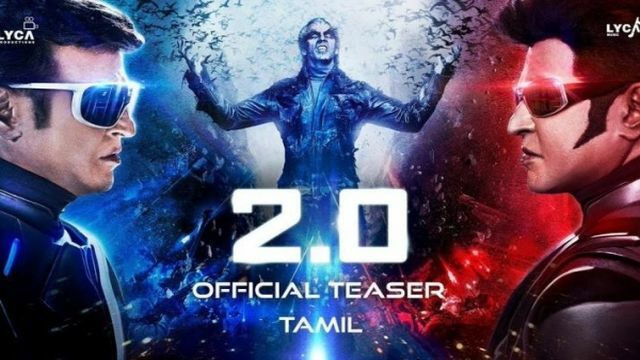 The teaser of 2.0, an upcoming science fiction film starring Superstar Rajinikanth, dragged hordes of the superstar’s fans to theatres across the city on Thursday (13 September 2018) . 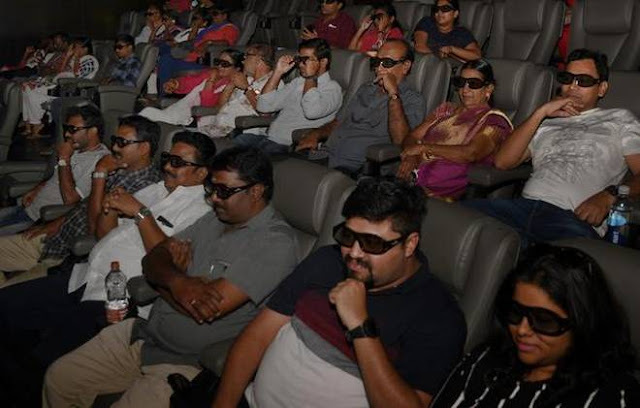 Thousands thronged the theatres to get a glimpse of this teaser in 3D and 2D formats. The teaser was played in 3D in over 1,000 screens across India, while the 2D version was released in over 5,000 screens. 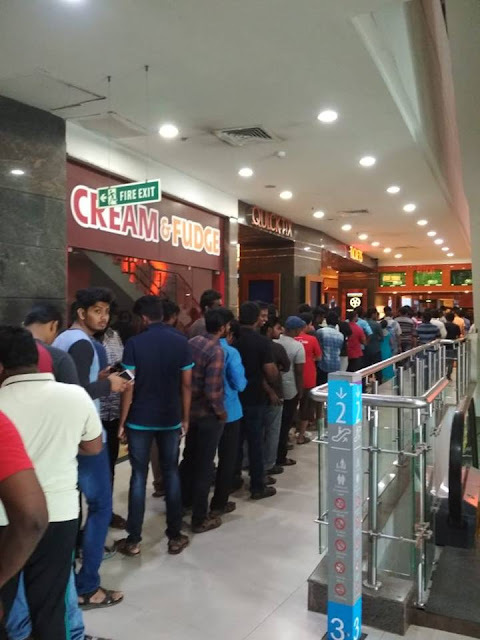 Sathyam Cinemas, one of the popular multiplexes in Chennai, saw over 500 people watching the teaser at 9 a.m. on Friday. 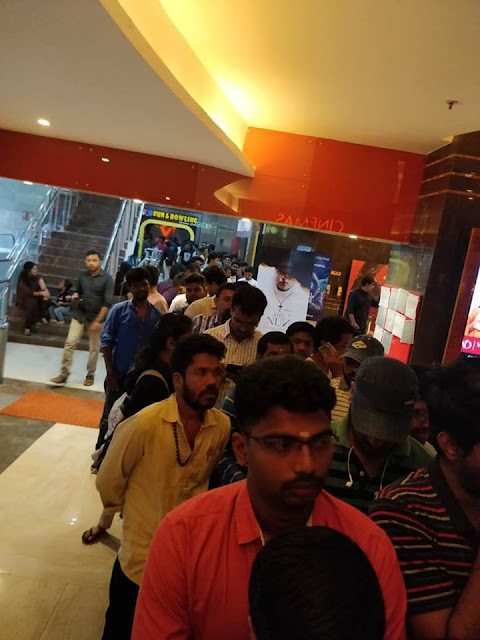 A source at the multiplex said, “We had a free screening at the main screen in Sathyam Cinemas between 9 and 9.30 a.m. Over 500 people watched the teaser. 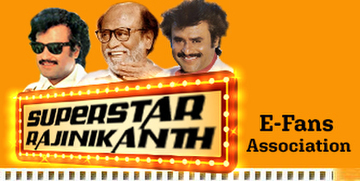 We screened this in all SPI cinemas and PVR properties in Chennai.” 3D glasses were given for the viewing. 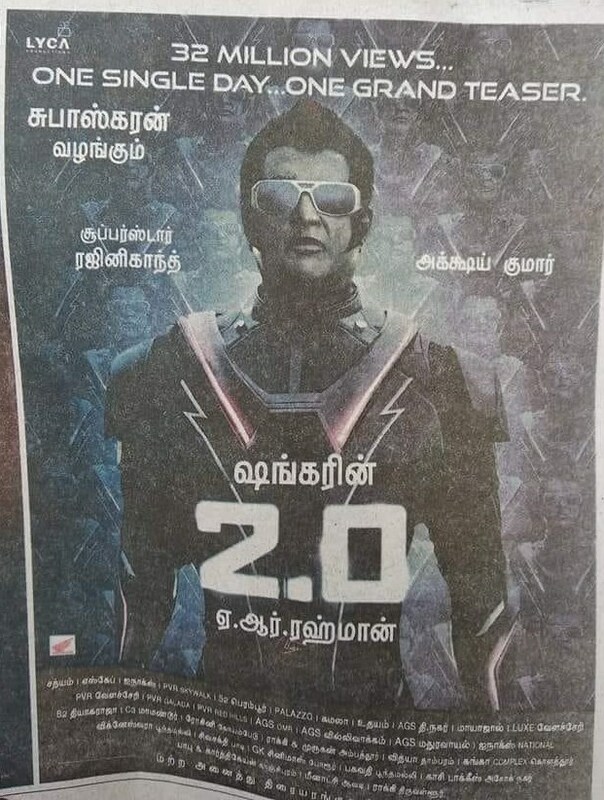 “I gave a missed call to one particular number (promotional activity) and got an SMS saying that a ticket has been generated for the 2.0 teaser. 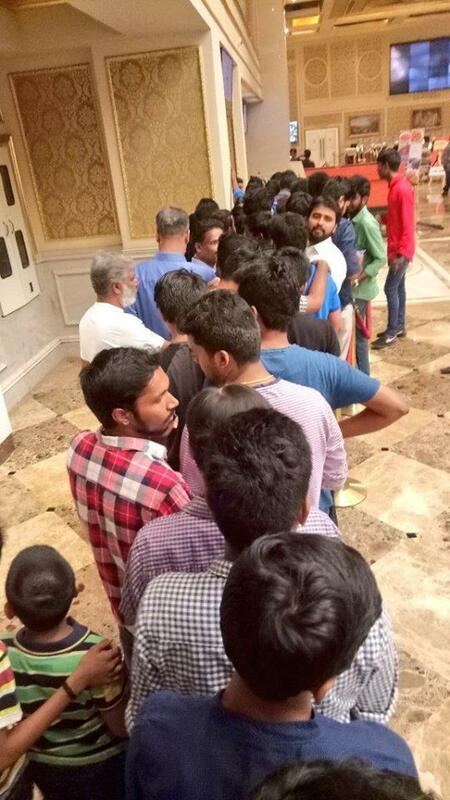 I then went to Sathyam Cinemas and they gave me a ticket (free) to watch the teaser,” said M. Kumar, who watched the teaser with several other fans. Over 24.8 million people watched the teaser on YouTube, 4.1 million saw it on Facebook and 3.5 million people viewed it on Instagram, the production house said. Gautam Dutta, CEO of PVR Cinemas, said that the teaser had done exceedingly well in the northern market. “The real trailer would evoke a lot more interest – the teaser is just a feeler,” he said. Entertainment industry analyst Sreedhar Pillai called this a good promotional exercise to get people familiar with 3D. He suggested that more roadshows need to be held in tier II and tier III towns to popularise this concept. 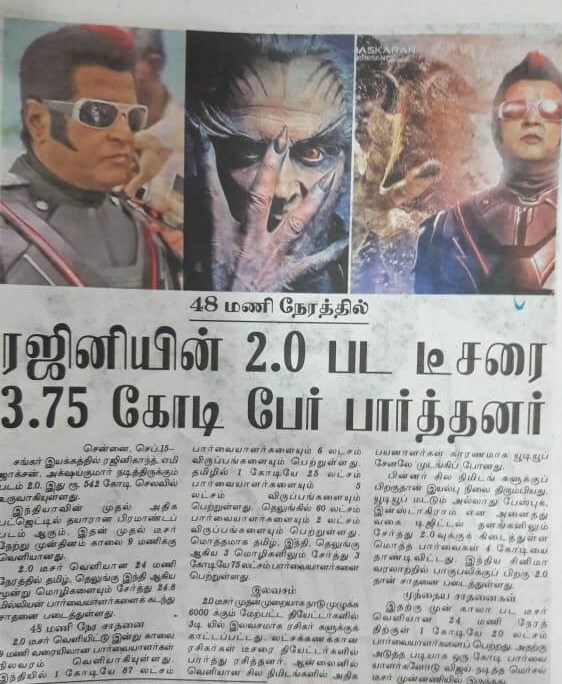 With a budget of over ₹500 crore, 2.0 is the most expensive Indian film made till date. Produced by Subaskaran Allirajah, under his banner Lyca Productions, the film features Akshay Kumar and Amy Jackson, among others, as lead actors. The movie is slated for release by the end of the year.